American Export Register - American exporting company directory: 45,000 companies, 5000 product categories. Annual Reports: The Public Register's Annual Report Service (PRARS) - Annual report service providing company financials, annual reports, prospectuses and 10k's on over 3,600 public companies. Asia's Fab 50 Companies - A compilaiton provided by Forbes magaine. California Department of Corporations - Protects and informs California's population in the areas of health maintenance organizations, the offer and sale of securities, franchises and off-exchange commodities, and transactions involving certain fiduciaries and lenders regulated by the Department. Class, Race, and Corporate Power - An academic journal examining the politics of corporate power. This includes an analysis of capital, labor, and race relations within nation-states and the global economy. 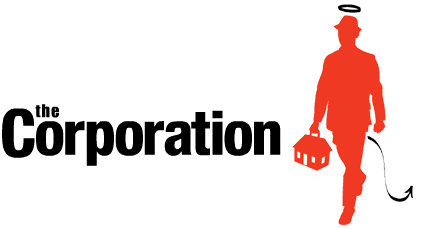 Corporation 20/20 - What would a corporation look like that was designed to seamlessly integrate both social and financial purpose? Corporation 20/20 seeks to answer this question. Its goal is to develop and disseminate corporate designs where social purpose moves from the periphery. CorpWatch - Resources and news concerning corporations. CQ MoneyLine - CQ MoneyLine is the leading source of comprehensive, timely and objective campaign finance and lobbying information available. With campaign donation and expenditure data dating to the 1979-80 election cycle, CQ MoneyLine helps you analyze the flow of money through the political system. Crocodyl - A collaboration sponsored by CorpWatch, the Center for Corporate Policy and the Corporate Research Project. seeks to stimulate collaborative research among NGOs, journalists, activists, whistleblowers and academics from both the global South and North in order to develop publicly-available profiles of the world's most powerful corporations. The result is an evolving compendium of critical research, posted to the public domain as an aid to anyone working to hold corporations increasingly accountable. CSC IncSpot - CSC offers registered agent services, which consist of providing a corporation, limited partnership, or limited liability company with a registered agent and/or registered office in the state where it is incorporated and the states in which it is qualified to conduct business. CT Corporation - Provides business and law firms with a full range of corporate and UCC services, from compliance filing, public record searching and document retrieval, to specialty services such as statutory representation, authentication, annual meeting and staffing services. Dun & Bradstreet - D&B offers insightful reports on millions of companies worldwide. EDGAR Database - The Electronic Data Gathering, Analysis, and Retrieval system performs automated collection, validation, indexing, acceptance, and forwarding of submissions by companies and others who are required by law to file forms with the Securities and Exchange Commission (SEC). Fortune 500 Listing - Prepared at the direction of Fortune editor L. Michael Cacace. FreeEDGAR Data - FreeEDGAR provides convenient searching features to access filings filed through the SEC's EDGAR system. GovernanceMetrics International - Serves as a central repository for research, study and critical thinking about the nature of the modern global corporation, with a special focus on corporate governance and the relationship between company management, their boards and their shareowners. Hay Group - A global management consulting firm. Organizational management information, widely used job evaluation methodology, assistance in assessing, selecting and developing managers and executives. Hemscott (search profiles of British co's). Hoover's Online - The Business Network - Companies, industries, and the people who run them, money management, career development, news, and business travel. Integrity in Science Database - Combats corporate influence on science and science-based public policy. Scrutinizes more than 200 science-based federal advisory committees for undisclosed conflicts of interest, monitors the media and scientific literature for failure to disclose, and encourages the adoption of strong disclosure policies. Mint Portal - Business intelligence and company information. Oxford Analytica - A global analysis and advisory firm which draws on a worldwide network of experts to advise its clients on their strategy and performance. Partnership Bulletin - A monthly subscription-based UK magazine and website providing in-depth updates on partnership working between the public and private sector, including the private finance initiative (PFI), public private partnerships (PPPs) and newer models, such as asset backed regeneration vehicles. Public Records Online Directory - A portal to official state web sites, and those tax assessors' and recorders' offices that have developed web sites for the retrieval of available public records over the internet. From Nationwide Environmental Title Research, LLC (NETROnline). Search Systems - Search thousands of public records. Small Business Administratiion (SBA) - Programs include financial and federal contract procurement assistance, management assistance, and specialized outreach to women, minorities and armed forces veterans. SBA also provides loans to victims of natural disasters and specialized advice and assistance in international trade. Small Business Innovation Research (SBIR) - Encourages domestic small businesses to engage in Federal Research/Research and Development (R/R&D) that has the potential for commercialization. Through a competitive awards-based program, SBIR enables small businesses to explore their technological potential and provides the incentive to profit from its commercialization. SourceWatch - Collaborative resource for citizens and journalists looking for documented information about the corporations, industries, and people trying to influence public policy and public opinion. State and Local Government on the Net - Links to Secretary of State, Department of State, Division of Corporations and other such state filing agency web sites throughout the U.S.
SunDoc Filings - Business filings and document retrieval throughout the U.S.
ThomasNet - The most comprehensive resource for finding information on suppliers of industrial products and services in North America. Thomas Industrial Regional Buying Guides - Search for U.S. industrial suppliers by product, service, company or brand name. Transnational - Free and independant information on large corporations. Trans-Lex - A free research and codification platform for transnational law. Websense - Use this page to search for a company's web or FTP site using Internic's registered domain names as your underlying database. This webpage last updated on Monday, April 17, 2017 9:29 AM.